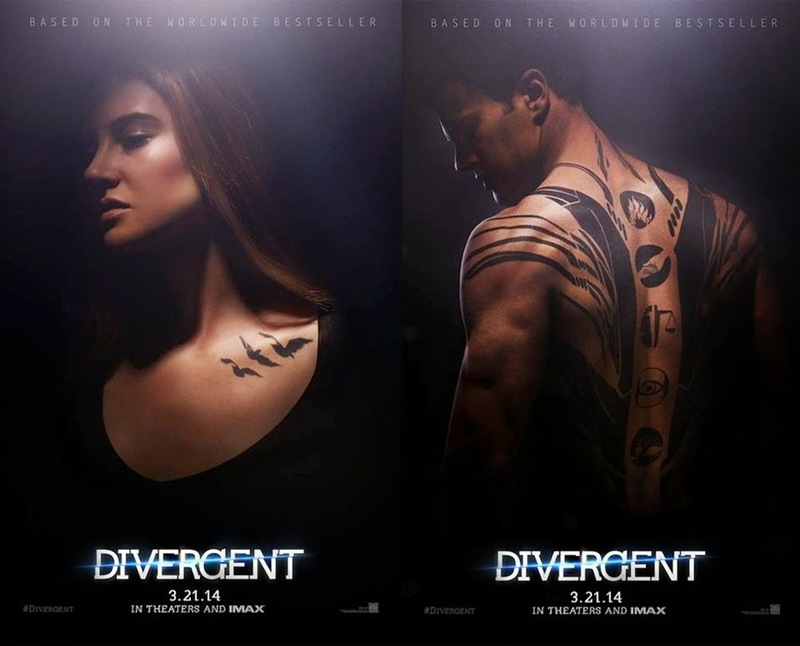 IMDB Synopsis: In a world divided by factions based on virtues, Tris learns she’s Divergent and won’t fit in. When she discovers a plot to destroy Divergents, Tris and the mysterious Four must find out what makes Divergents dangerous before it’s too late. I’ve seen some negative reviews of Divergent, but I loved it. I saw it twice in as many days, and I wanted to see it again the next next day. Hopefully I will get to see it again before it leaves theaters. I’m thrilled they are already in pre-production for Insurgent. Don’t get me wrong, I’m not saying it was perfect, but I really enjoyed it. I had this sort of silly grin on my face the entire movie (except for when I was crying, cause that definitely happened). It’s been a while since the last time I read the book (I SO need to read it again, it’s excellent), but as far as I could tell, the movie followed the story pretty well. I didn’t remember anything uber important missing or anything weird added. I remembered most of the scenes being from the book. I was not originally pleased with this casting. I thought, well, they certainly look right for the part, but will the acting be good? Yes. Yes it will be. I thought Shailene as Tris and Theo James as Four were absolutely PERFECT. They really seemed to have a good grasp on the characters and they had excellent chemistry. There were so many subtle things that both of them did that were so fun to watch and added layers to their characters. I thought the screenplay also did a really good job developing that relationship, while not making it overpowering for the rest of the script. I would not say that it’s absolutely necessary to read the book first, but I will highly recommend it, as the book is AMAZING. But I think you can definitely enjoy the movie without having read the book. Hopefully it will spur you to read it. Kate Winslet was cold and calculating as Jeanine, and I thought her performance was excellent (as always). Really, everyone was great. Ashley Judd was practically ethereal as Tris’ mom, and Zoe Kravitz was perky and sarcastic as Candor born Christina. I was impressed (and thankful) with Ansel Elgort (Tris’ brother Caleb) and Shailene’s LACK of romantic chemistry, since every time I see a Fault in Our Stars preview, you can practically feel the heat radiating from the screen. He did a good job as Caleb, and I was glad to see them prove all the people wrong who were worried that it would be weird to see them play siblings in Divergent and then boyfriend/girlfriend in TFiOS. I was extremely impressed with Shailene Woodley’s acting. You could tell at the beginning that she knew she didn’t belong in Abnegation, but she was fighting to be there for her parents. And then she becomes Dauntless, and it’s like she’s been freed. There was a big shift in her character there, which was really cool to watch. Tris is such a dynamic character, and I feel like Shailene really captured that development, becoming a wholly new person by the end of the movie. It made the line “I don’t even know who I am anymore” very believable. There’s a scene where she’s being shot at, and she starts screaming “STOP” at the shooters, and through her acting, Shailene has tricked everyone into believing she’s this super powerful, awesome heroine, but in that moment, the audience is reminded that she’s still just a teenager. It was a very powerful moment (this is where I cried). There is a lot of fighting in this movie. I thought all the fight choreography was really good. I’m glad they let Tris get thrown around. It gave room for that dynamic character to grow. It’s painful to watch, but also really important to the story. So for anyone thinking this is just romance chick flick masquerading as dystopian, you’re in for a surprise. There’s plenty of fighting, action, terrifying moments (fear landscape), and horribly sad moments. Dauntless are crazy. I would never do half the things they do.They do insane things the whole time. Which honestly, was kind of fun. GO SEE THIS MOVE. SUPPORT THE YA LITERATURE COMMUNITY. I’m thinking about writing a post about this, since so many book lovers absolutely rip book to film adaptations to shreds, and I have some thoughts I’m contemplating sharing on the subject. UGH just writing this review makes me want to see it again. This entry was posted in Movie Reviews, Romance, YA and tagged Book to Film, Romance, Sci-Fi/Dystopia, YA.